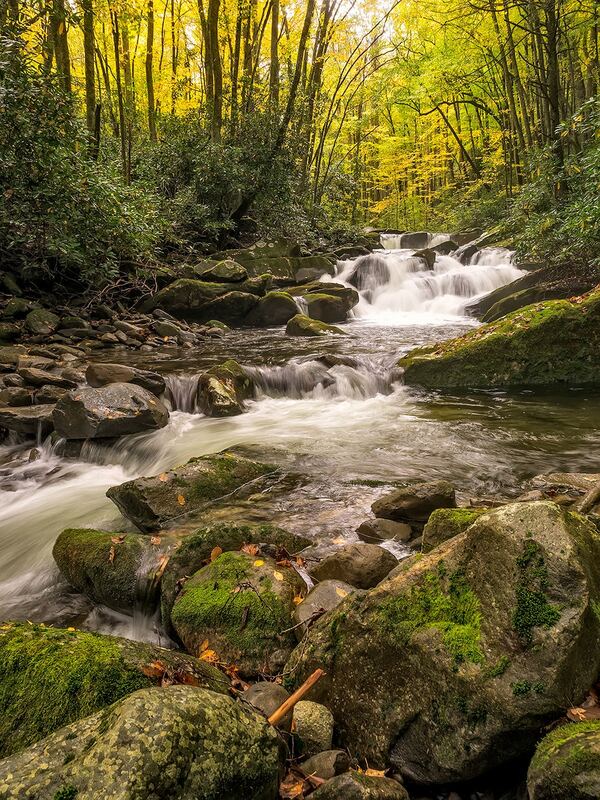 Title: "A Little More Little River"
On an October backpacking trip, a friend and I explored this small waterfall off the Little River Trail in the Elkmont section of the Great Smoky Mountains. Morning light poured in to spotlight the stream and surrounding fall foliage. This listing is for a photographic print on Kodak Professional Endura Premier paper, the most popular paper used by professional photographers. Accurate color, realistic saturation, and greater intensity are just a few of the benefits of E-Surface paper. - Standard Archival Value of 100 years in home display; 200 years in dark storage. - Bright blues, cyans, purples, and reds. Your print order will be shipped directly to you from the printer via FedEx two-day shipping. Please allow 3-5 business days for processing. Note that some image dimensions may require custom framing. Please ask before ordering. I will be happy to crop the image to different dimension to try to accommodate your needs.